It’s time to cook and freeze! It’s that time of year for making big pots of soups and stews to keep us warm throughout the winter months. I love this time of year as I love making soups and stews and even more so I love eating them. But who wants to be in the kitchen making them all the time? As much as I love cooking I also love getting out for long walks, going to the pub to watch the footy and spending the day at the markets. And when this happens it is nice to have something ready to go when you get home. This is when those great takeaway style containers come in handy. 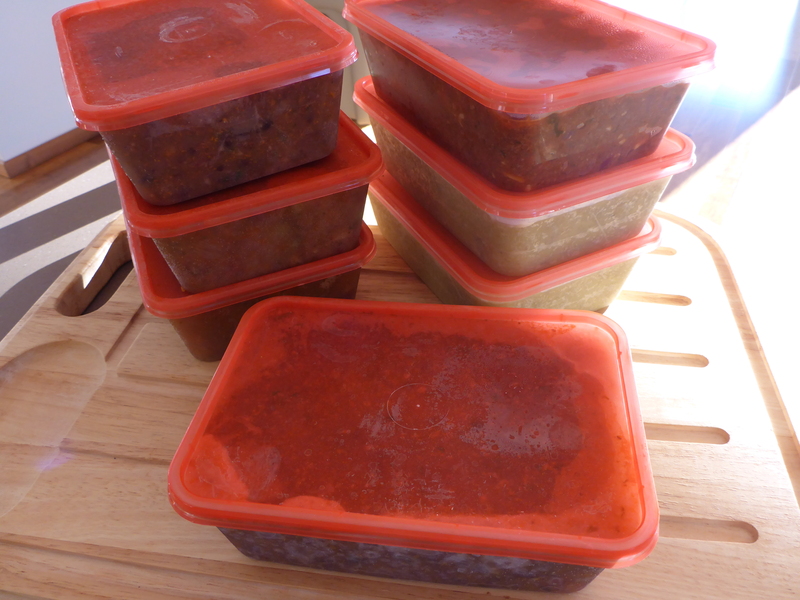 I always have some empty ones (you can buy packs from the supermarket) in the cupboard and anytime I cook a soup, stew, casserole even taco meat, burgers and meatballs, I make extra and freeze for another day. So my hint to you is that when you are cooking think about doubling a recipe so that you can freeze your handy work for another day. It’s so much tastier to come home after a busy day to a homemade meal that you have put time, effort and love into rather than bringing home that dreadful takeaway. And if you’re on a budget it is cheaper as well. This entry was posted in Hints, Tips and clues., Home and tagged Freezing, soups, stews, winter. Bookmark the permalink.